In this first step of our multi-phase selection process, dental professionals are invited to nominate the top dentists in their area. Each nomination carries a point value. No "campaigning" or soliciting nominations from other medical professionals as such nominations may be disregarded and lead to disqualification. 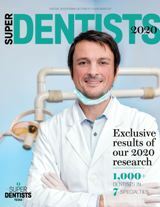 Contact Research for information about how to nominate dentists for Super Dentists.